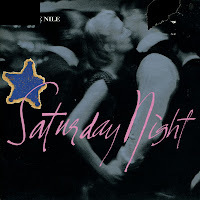 I bought this 12" single of 'Saturday night' a few years after its release. When I spotted it, I wasn't entirely sure whether a cd-single of this release also existed - and so I snapped it up. Of course, a few years later I would find the cd-single with exactly the same track listing. Still, it is nice to showcase this disc here - and on a Saturday too. On the B-side an instrumental piece called 'Our lives' appears, divided in three parts, entited 'Lost', 'Bolivia' and 'New York'. The Blue Nile's 'A walk across the rooftops' was one of the most remarkable albums of 1984, featuring seven beautifully crafted tracks. It featured two singles: 'Stay' and 'Tinseltown in the rain'. The album version of the latter track appears on this 12" singles, as well as an instrumental version of another album track, 'Heatwave'. This 12" single is however most notable for the otherwise unreleased track 'Regret'. 'One of the saddest songs I know', I wrote on a mailing list a decade ago and I still stand by those words. The track was later included on a rare compilation cd which I never found, but fortunately there's an mp3 floating around which I've included here for your listening pleasure. After all, sometimes the crackles and pops of vinyl tend to distract the listener a bit. The Scottish band The Blue Nile debuted in 1981 with 'I love this life', a single that went by unnoticed partly because of the disappearance of their label RSO. The trio kept writing and recording over the next couple of years, including a couple of tracks that would later surface on their debut album. 'Stay' was released in 1983 by Linn Records, a label created by a local hi-fi manufacturer. It was not a hit, however the band was noticed enough for Linn to released a debut album called 'A walk across the rooftops' a year later: a critically acclaimed album that sold very well too. This 12" single features the full length version of 'Stay' as well as 'Saddle the horses', an instrumental version of the album track 'Automobile noise'. 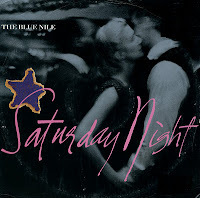 Although the Blue Nile released their second album 'Hats' in the autumn of 1989, the sticker on the back of this single states that 'Saturday night', the third single from that album, was released on January 7, 1991. But then, the Blue Niles were always a bit slower than the average pop band. Two weeks later, the single entered the UK singles chart and reached number 50 during a 2 week chart run. It was the last anyone heard from the band, until they returned with 'Peace at last', their third album. When? Well, in 1996. 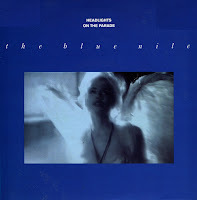 The second single from the Blue Nile's second album 'Hats' was a remixed version of 'Headlights on the parade'. The remix was made by Bob Clearmountain, who previously mixed tracks by artists like Bruce Springsteen, the Rolling Stones and Bryan Adams. 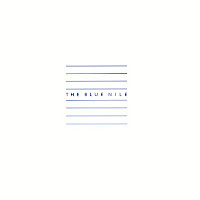 Not the most obvious person to handle a Blue Nile track, but the remix turned out quite reasonable. It didn't help the success of the single much: it spent one week in the UK singles chart at number 72. But the Blue Nile was always an 'albums act' anyway. 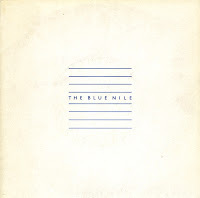 In 1989, the Scottish band The Blue Nile released their second album after five years of absence from the music scene. It was accepted by music critics with rave reviews, including a rare five-star rating from the UK's Q magazine. 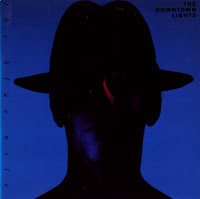 The lead single from the album was 'The downtown lights', one of the few up-tempo tracks from the album. 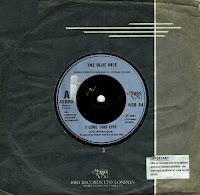 For the first time, the band reached the UK singles chart at number 67 during a one week chart run. The track was later covered by Annie Lennox on her second album 'Medusa'. 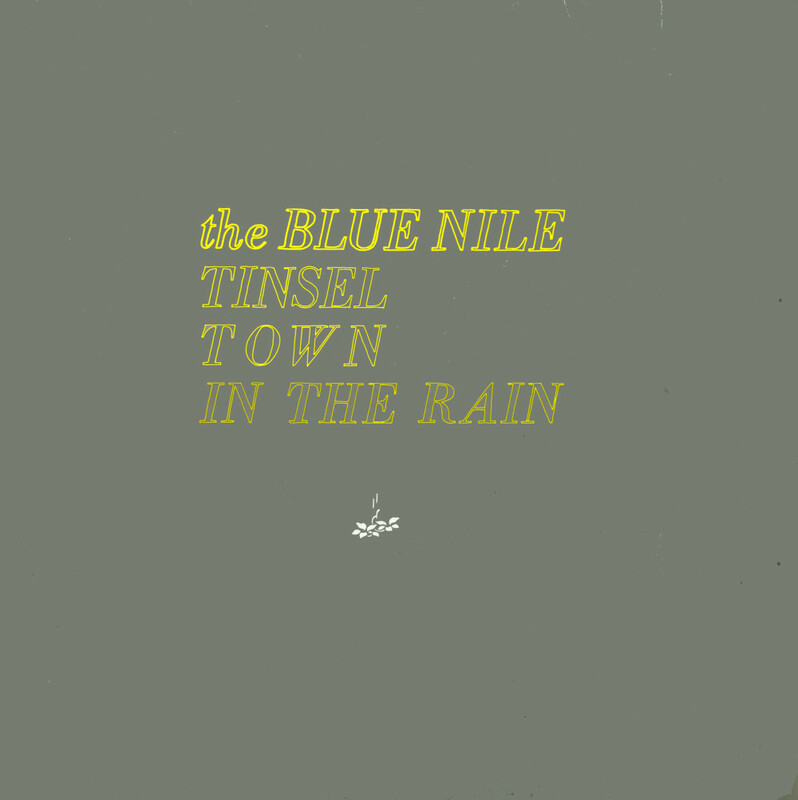 So what is a mispressing of the Blue Nile's 'Tinsel town in the rain' worth? I never went out to research this and usually it's whatever someone wants to pay for it. And then I doubt that this mispressing is rare: the must be hundreds or thousands of singles like this, where the B-side is announced as an instrumental version of 'Heatwave', but it's an unidentifiable dance track. 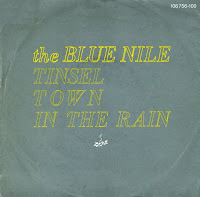 'Tinsel town in the rain' was an unexpected hit for the Scottish band, peaking at number 28 in the Dutch Top 40 in October 1984. It was a remarkable hit, because in other countries the single did not chart. After the original release of 'Stay' and the commercial success abroad of 'Tinseltown in the rain', Linn Records tried it again with a remix version of 'Stay'. The UK audience was still unresponsive: the single didn't chart. This limited edition double pack featured both singles: 'Stay' in the remix version and 'Tinseltown in the rain', which had been released as a single before. 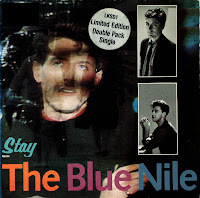 I bought this double pack mostly for the remix of 'Stay', which I didn't have, and as a Blue Nile fanatic, I had to have it all. 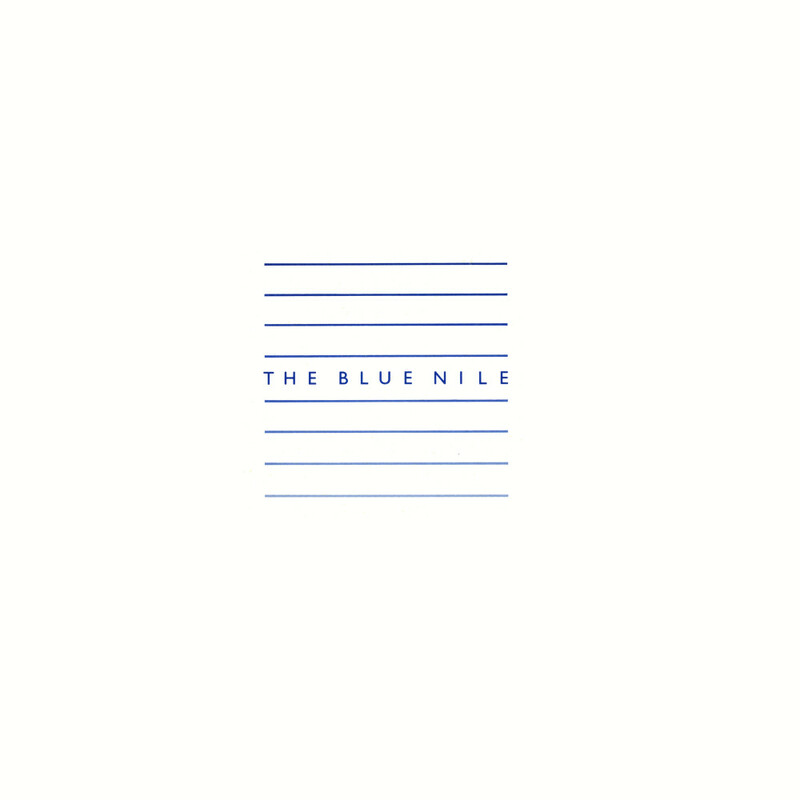 Two years after their debut single 'I love this life', The Blue Nile had found a new record company and were ready to release their debut album. Linn Records released 'Stay' shortly before the album 'A walk across the rooftops'. The album reached the UK album charts, even though it was only for two weeks, but 'Stay' sunk without a trace. Still, it is a very bouncy pop song. It is backed with 'Saddle the horses' (an instrumental version of the album track 'Automobile noise'). I bought the single, as always, after years of searching. 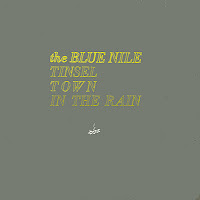 Ever since I heard 'Tinseltown in the rain' and 'Stay' in 1984, I had a soft spot for The Blue Nile. Their silent, beautiful music is truly in a league of its own. The fact that they only release an album every six or seven years add to their appeal.